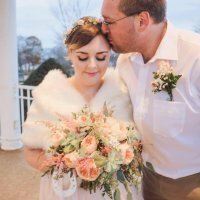 My husband and I have recently moved, he did the change of address on the USCIS website and listed all 3 applications on the form. However, when I check his case's status online, the change of address is only shown under the I-485 case history; and similarly, we received the confirmation in the mail which only listed his I-485. Just looking for opinions or previous experience on this, should he just file a separate change of address form for each case? Or should he call USCIS customer service line (I know the bane of everyone's existence) to ask and check? No biggie, we are within the 10 days of the move still but we want to make sure our move is documented for ALL his pending applications. I also recently changed my address & I've just logged into USCIS to check if it is under my AP/EAD case & its not, I dont see how it would be an issue though seeing as when we did the address change it showed all 3 case numbers, maybe its just a standard thing it only updates on the I-485? Update: We ended up doing a separate filing of change of address for each case. And now online every case status page gives a confirmation of the change of address. We figured better safe than sorry! In terms of the change of address for the sponsor (me), There was no option online for the !-864, and so I wouldn't know how to go about that. @Cryssiekins where did you see that it was required/how did you inform USCIS of the move? I-865 is for the USC sponsor change of address. Always has been.